The settlement structure of the European territory can be described as a dense and polycentric urban pattern. 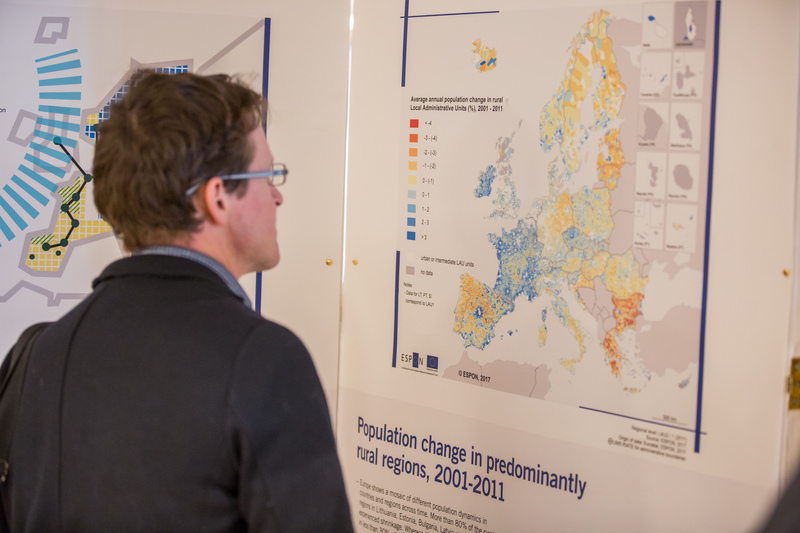 Urban areas outside the largest cities have a relatively important weight in the urban and economic structure of the European territory and represent an important part of the European population. Therefore it is of great importance to better integrate them in the global economy and facilitate them better to contribute to even more economic growth and job creation. 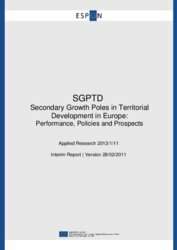 Secondary growth poles should be engines for regional development and might offer citizens a living environment at a lower cost. 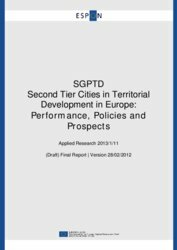 The specification asked this project to develop a common understanding of the opportunities and prospects for the territorial development of secondary cities. 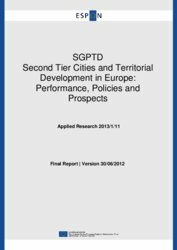 The key objective hence is to produce clear policy recommendations about the challenges and opportunities facing secondary cities in Europe, based upon robust analysis of a well founded evidence base. 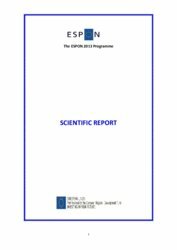 The project shall clearly identify, measure and explain: (i) the role of secondary cities; (ii) their actual and potential contribution to growth at European, national and regional level and (iii) the range of European, national, regional and local policies that have been adopted - and could be adopted in future - to maximise their potential contribution. 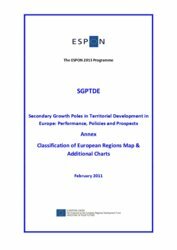 The need for such practical advice will become increasingly important during the next decade as economic recession and fiscal problems threaten to undermine the real achievements made by many secondary cities in Europe during the recent period of sustained economic growth. There is a risk that economic and fiscal problems and the competition for scarce public and private sector resources may limit the growth of secondary cities and widen gaps between them and the capital cities. 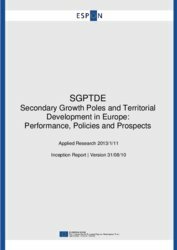 If their development is arrested by recession, the threats to a balanced territorial system across Europe will increase. So developing a good policy response during the difficult economic period ahead will be absolutely critical. 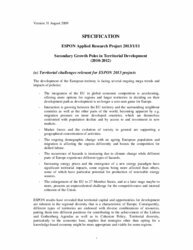 Conceptual framework for understanding secondary city development through a synthetic review of the literature on polycentricity and local and regional economic development. 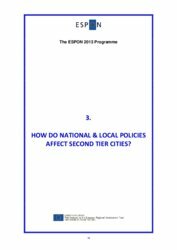 Review of policy towards secondary cities at European Union level and in individual Member States. The review will involve analysis of the policy literature and, importantly, interviews with and a survey of policymakers and stakeholders. Developing a typology of secondary cities relevant to the three key questions that are raised in this project (i). Which secondary cities are performing well across the different parts of Europe? (ii) Why? and (iii) how much has policy affected their performance? Policy case studies for secondary cities that will identify tangible lessons with less emphasis on digging down into the detailed history of places. The focus will be on understanding the dynamics of places and the relationships and processes initiating and sustaining development.